BUSHWICK, Brooklyn (WABC) -- Police are looking for a suspect in a brutal subway robbery in Brooklyn. Around noon Sunday, in a Manhattan bound "M" train at the Myrtle/Wyckoff Avenue subway station in the Brushwick section, a suspect approached a man and knocked him down to the floor. 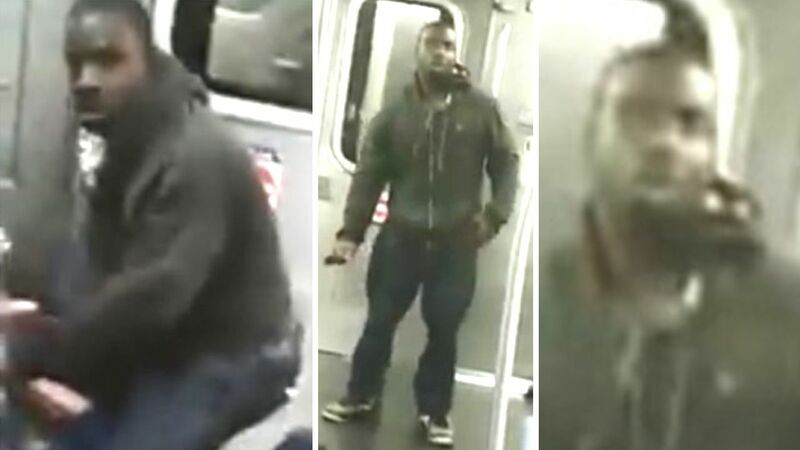 According to the New York City Police Department, the suspect kicked and punched him before stealing the victim's wallet and cell phone. The individual fled the train at the Myrtle/Wyckoff Avenue station. Among the items inside the victim's wallet were a credit card and $20 in cash. The victim had cuts on his face and a broken rib; he was taken to an area hospital in serious but stable condition. The individual is described as a black man, 20- to 25-years old, 5 feet 8 inches tall and 175 pounds. He was last seen wearing a black hooded sweater, blue jeans, and black and gray sneakers.